A lot of places have been getting hammered by snow recently. I just found this picture on the web. Somebody has the right idea when it comes to the snow in the midwest. 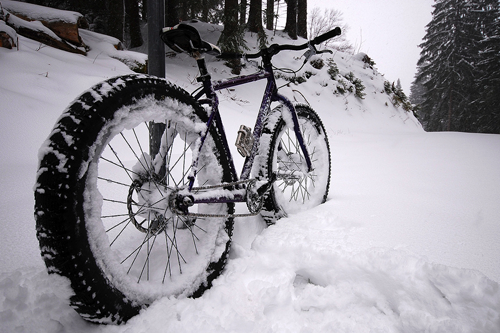 May as well make the best of it: Change your tires, fill your flask and go for a ride. This image was found in Big.Col's flickr photos.